Clayton Construction is dedicated to helping charities, over the years Clayton has been involved in many Charitable projects. Following a holiday in Kenya, and a chance meeting between a Hutton resident and builder Mark Orchard and a Dabaso resident Jeffrey Cheggie, an adventure started where initially Mark and four other builders set off in February 1999 to the village of Dabaso, near Malindi in Kenya. Their mission was to fulfill a promise given by Mark to Cheggie (as he soon became known), that he would return to Dabaso to build a much-needed classroom in the school. The new classroom was built in two weeks, and this project caught the imagination of the media. When Mark went to Dabaso he took with him messages of greetings from the village, including the Parish Council, with the offer of developing links between the two communities. 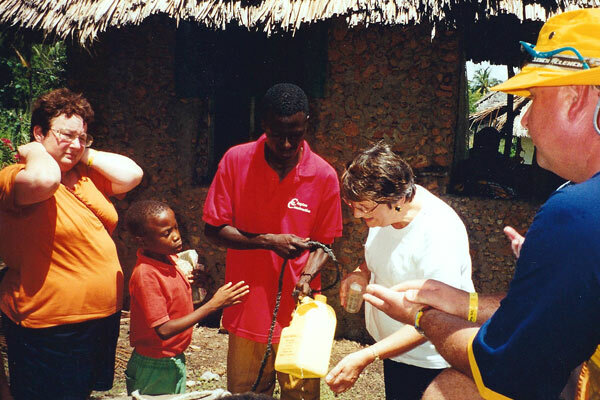 When Mark returned, he reported the enthusiasm of the village of Dabaso to twin with the village of Hutton. This proposition was put to the annual parish meeting on 19th April, when it was agreed to proceed with a formal twinning between the two villages, and following this a twinning association was formed. The BBC became very involved with these developments, and a series of programmes planned on BBC 2's "Close up West". It was planned that a delegation would visit Dabaso in November 1999, and that twinning ceremonies would be held in both Hutton and Dabaso, Britannia Airlines and the holiday firm Tropical Places arranged for those attending to have to pay only the costs incurred by the firms. The BBC, under the direction of James McAlpine, films all the meetings and the preparations for the twinning. 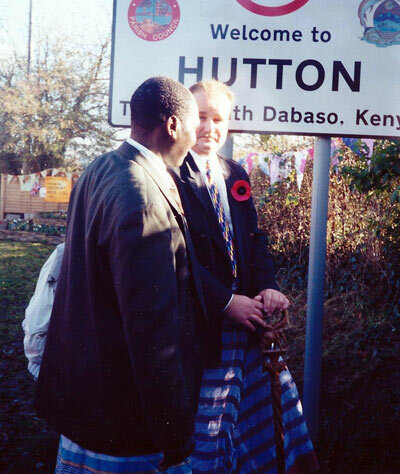 Mark and the builders were given "People of the Year Award" and Cheggie was brought to Hutton from Kenya by the BBC to attend the formal twinning ceremony in Hutton on Saturday 13th November, where together with Mark, they unveiled new road signs in the village. Many villagers attended this ceremony, together with MP Mr. Brian Cotter, local politicians and Mark Turner, a representative of the British High Commission. The first part of the twinning document was signed by Mark Orchard, Geoffrey Cheggie, North Somerset Chairman Pat Taylor, Council Chairman Ian Pickett, Vice Chairman Terry Porter, Rev. Bernard Stevenson, District Councilor Ian Peddlesden, Headmaster Bob Gibbons and twinning Chairman Liz Ockwell and Vice Chairman Eric Holdaway. The following day a delegation of forty left for Dabaso in Kenya, accompanied by a film crew from the BBC. the party took with them gifts for the children and villagers of Dabaso, including pens and pencils for the children, medical supplies and seeds to start a market garden. It took 24 hrs to arrive at Dabaso, with a long delay at customs in Mombassa while negotiations, including singing to the customs officers, were needed to release the medical supplies. Before leaving Eric and Gill Holdaway had been responsible for writing a song for the party to sing at the ceremony in Dabaso. The long journey gave the opportunity for more verses to be written. Throughout the visit to Dabaso, and the province of Malindi, the party received exceptional treatment. The day began with Terry Porter, Vice Chairman and representing Hutton Parish Council, inspecting a guard of honour and taking a march past. Mayor Gideon Mungaro then gave a civic reception in The Mayor of Malindi's parlour. Following a number of speeches, and The freedom of Malindi being given to The village of Hutton, The party left for a tour of Malindi province. A traditional Swahili luncheon was then served in The historic Gedi ruins, while The group was entertained by traditional music. This was The first time that The ruins had been used for a ceremony and such was The popularity of The location that it is now being developed as more of a tourist attraction. 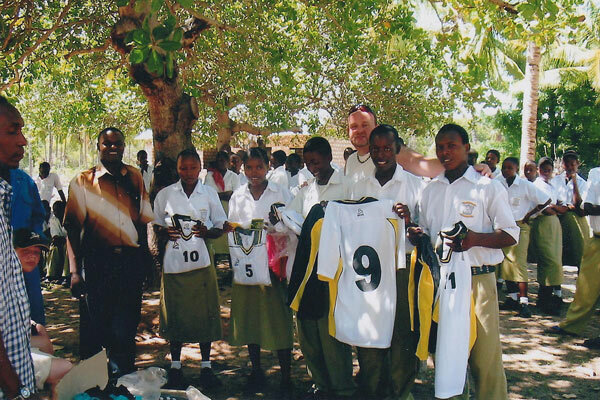 The trip proved busy for everyone, and The visits to Dabaso school to meet The children was an early mission. Doctor Peter Maksimezyk, assisted by Jenny Clay & Jan Porter carried out surgeries in The village nearly every day and treated some six hundred patients, excluding The hundreds when for a day he was accompanied by a number of local doctors. Members of The party from The Hutton Horticultural Society helped local teachers and children to clear, culturative and sow areas to start off their market garden. Singing is natural to The Kenyans and many of The group sang with The children and Cheggie's own choir. 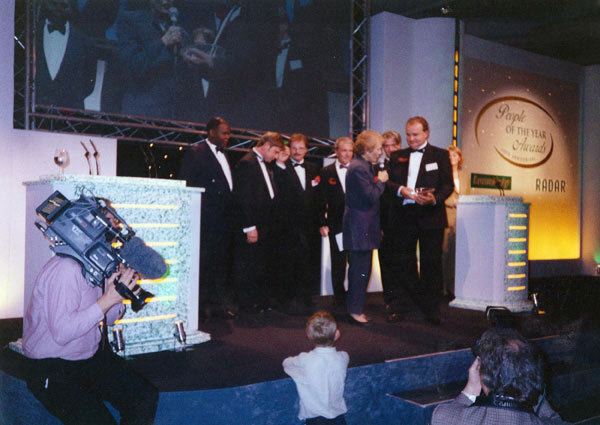 Reverend Bernard Stevenson had The opportunity to visit The local churches to preach to their congregations, and links were set up on The Internet for photos of The days events to be e-mail direct to The pupils of Hutton school. Just before leaving, a twinning ceremony was held. This lasted all day and included a wide variety of musical entertainment. The ceremony became very important locally when The Kenyan Deputy Minister for Tourism attended, together with The District Commissioner and local mayor. Andrew Tucker, The Acting Commissioner, travelled from Nairobi, and brought a message from The Prime Minister, represented The British Government. The signing of The twinning documents was then completed, outside a traditional Swahili hut in The village of Dabaso. Part of The ceremony including turning on The water supply to The village, made possible by donations that has been made to Mark following and publicity from his first visit. There was also sufficient money to purchase enough materials to complete a further classroom at The school, and for local workmen to carry out The work. However, on The day before The group left, it was decided to complete this classroom before departing, and The following some hectic activity involving The majority of The party, The task was completed. On The day of leaving, The villagers of Dabaso gave their own local ceremony to The party, honouring them by giving them Swahili names. The twinning between The two villages is a long-tern venture, and in material terms can be one-sided partnership, but it does not need to be so on a cultural level. The villagers of Dabaso look forward to furthering The cultural links between The two communities, besides their obvious desire for practical help.